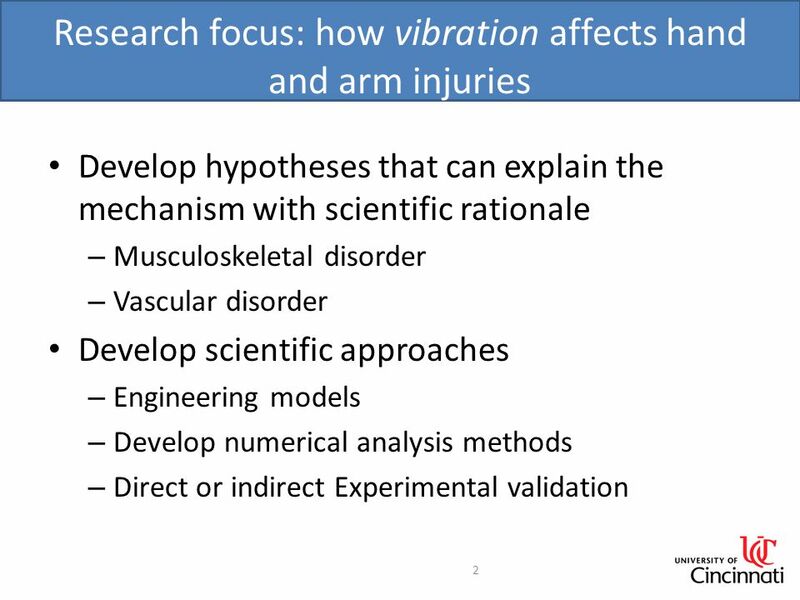 Vibration Response Study to Understand Hand-Arm Injury Shrikant Pattnaik, Robin DeJager-Kennedy Jay Kim Department of Mechanical Engineering, University. 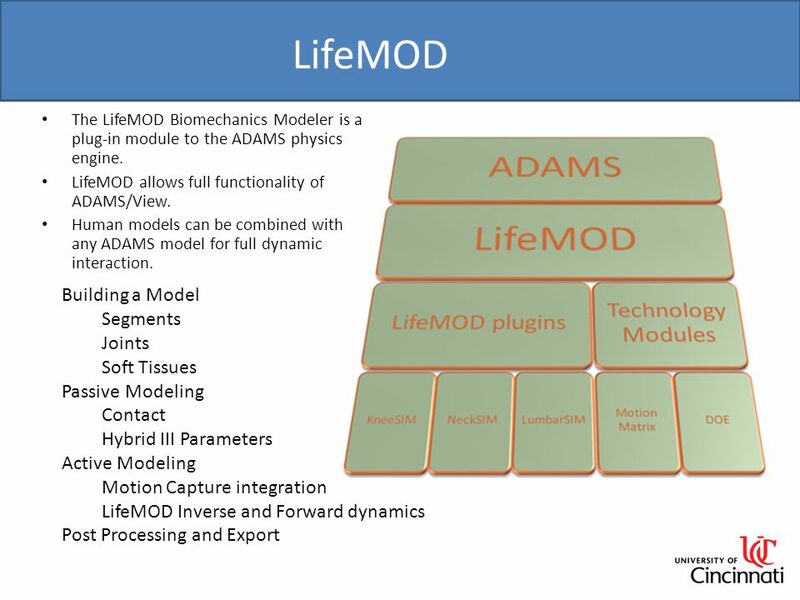 6 LifeMOD Building a Model Segments Joints Soft Tissues Passive Modeling Contact Hybrid III Parameters Active Modeling Motion Capture integration LifeMOD Inverse and Forward dynamics Post Processing and Export The LifeMOD Biomechanics Modeler is a plug-in module to the ADAMS physics engine. 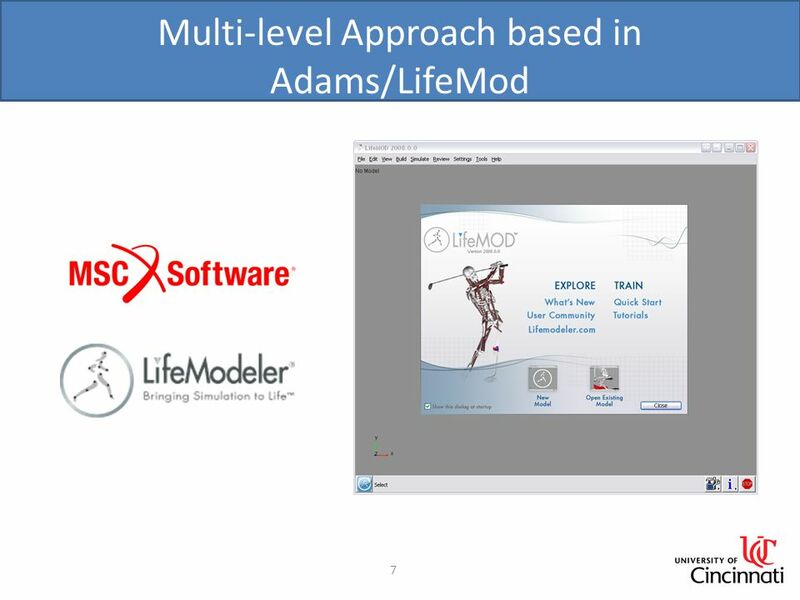 LifeMOD allows full functionality of ADAMS/View. 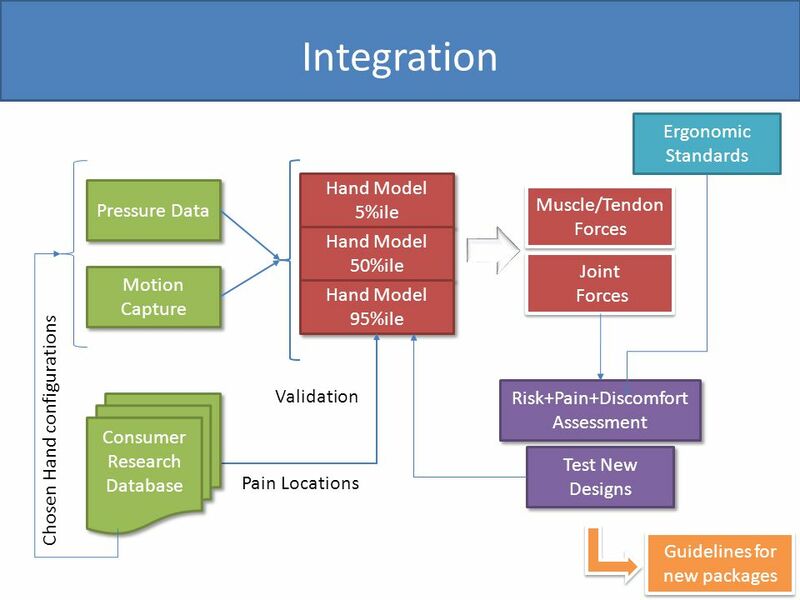 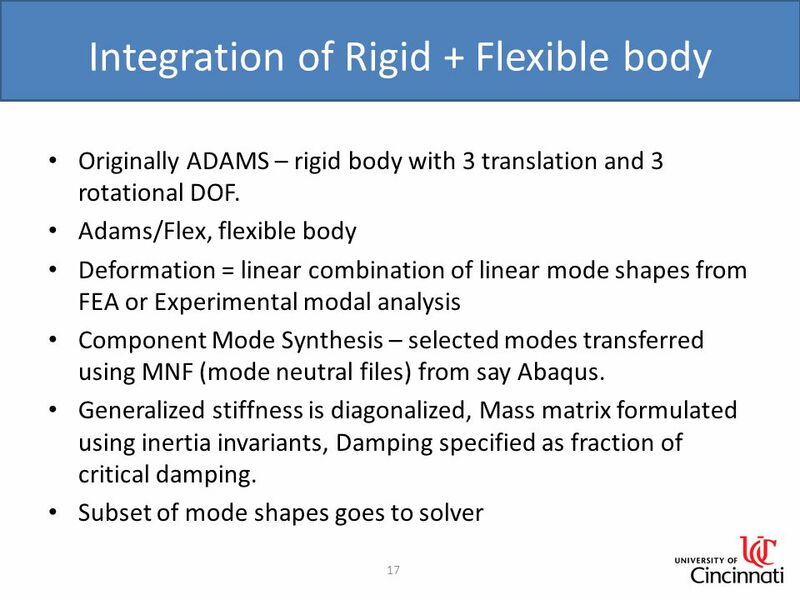 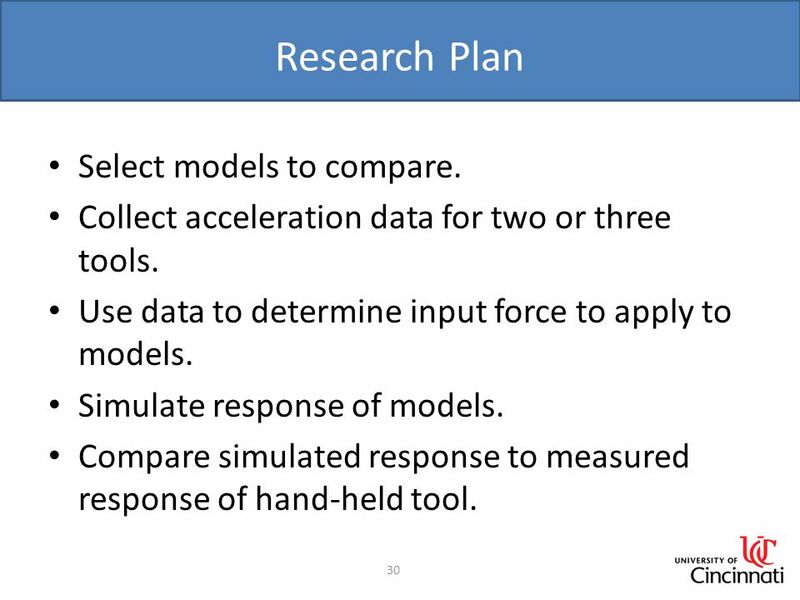 Human models can be combined with any ADAMS model for full dynamic interaction. 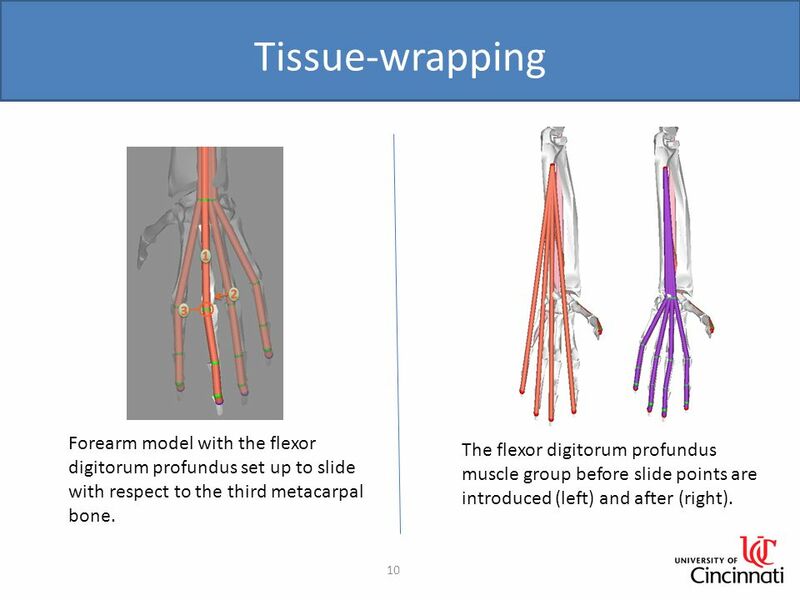 10 Tissue-wrapping 10 Forearm model with the flexor digitorum profundus set up to slide with respect to the third metacarpal bone. 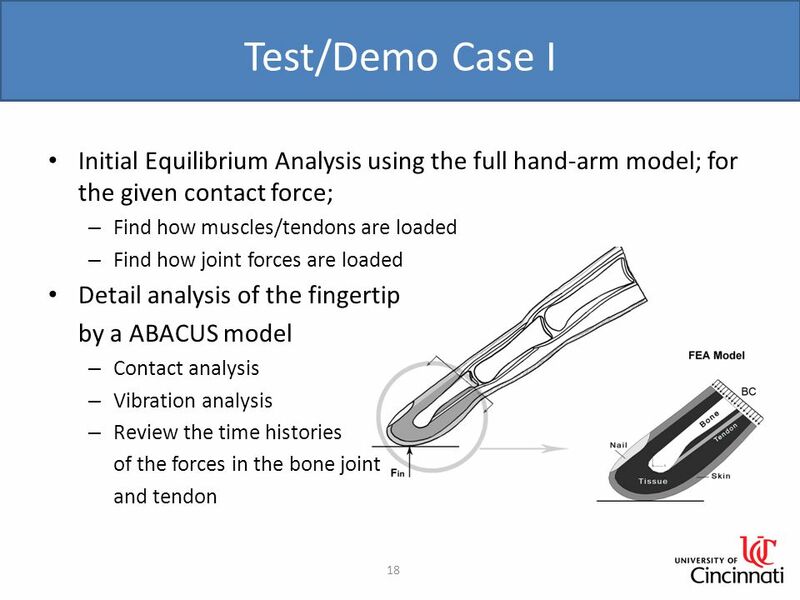 The flexor digitorum profundus muscle group before slide points are introduced (left) and after (right). 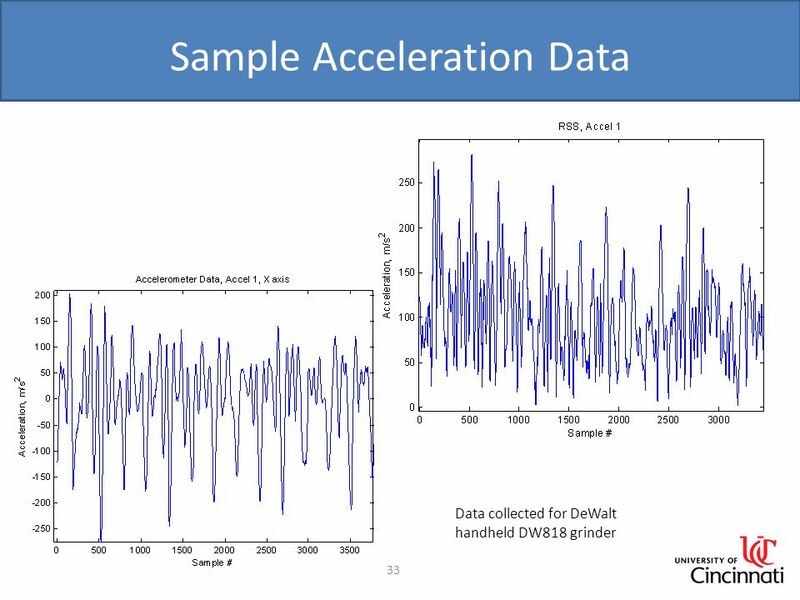 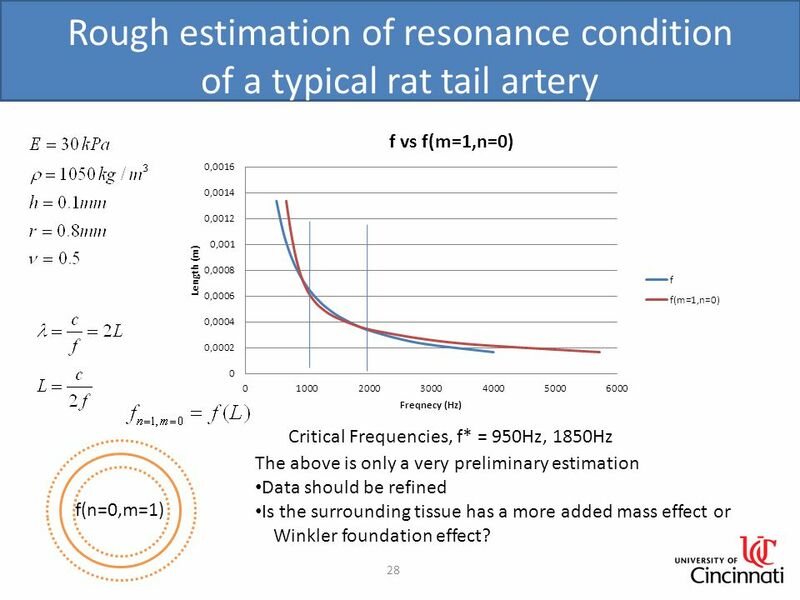 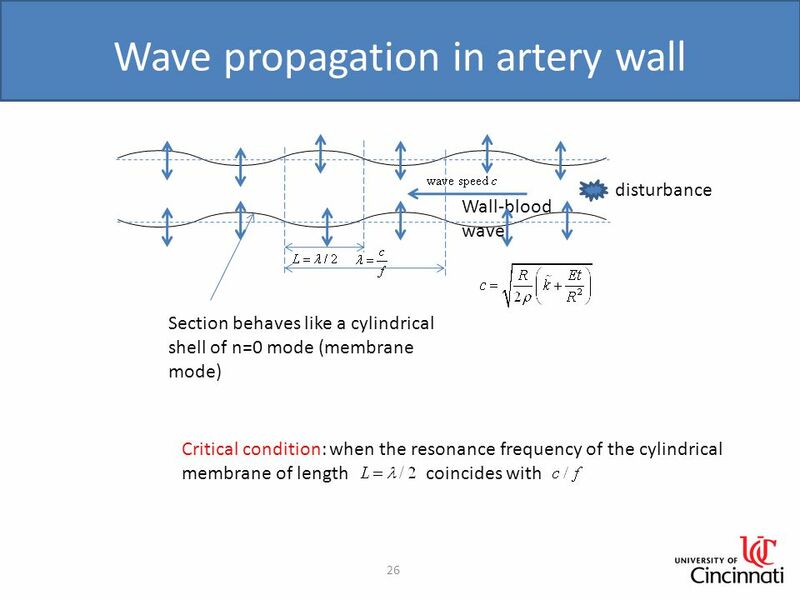 28 Rough estimation of resonance condition of a typical rat tail artery 28 Critical Frequencies, f* = 950Hz, 1850Hz f(n=0,m=1) The above is only a very preliminary estimation Data should be refined Is the surrounding tissue has a more added mass effect or Winkler foundation effect? 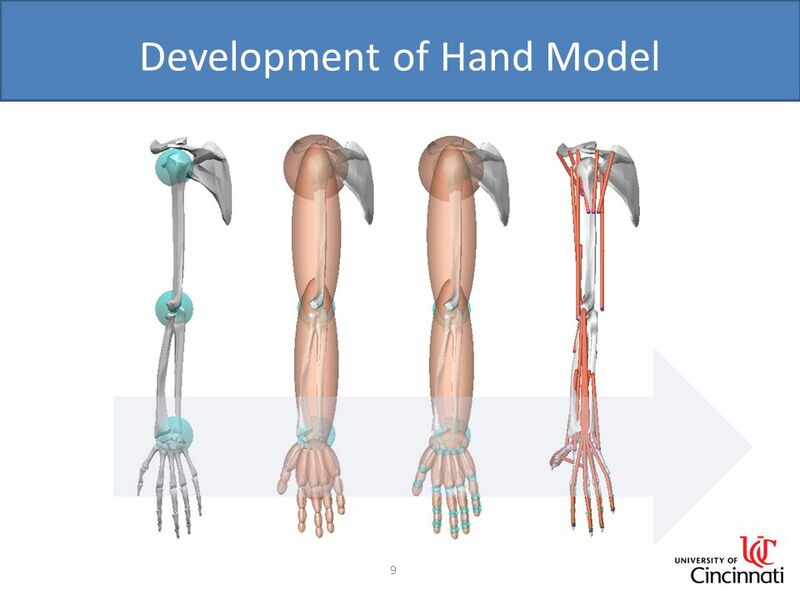 31 Hand-Arm Models 31 Models vary in complexity from 1 DOF to many DOFs. 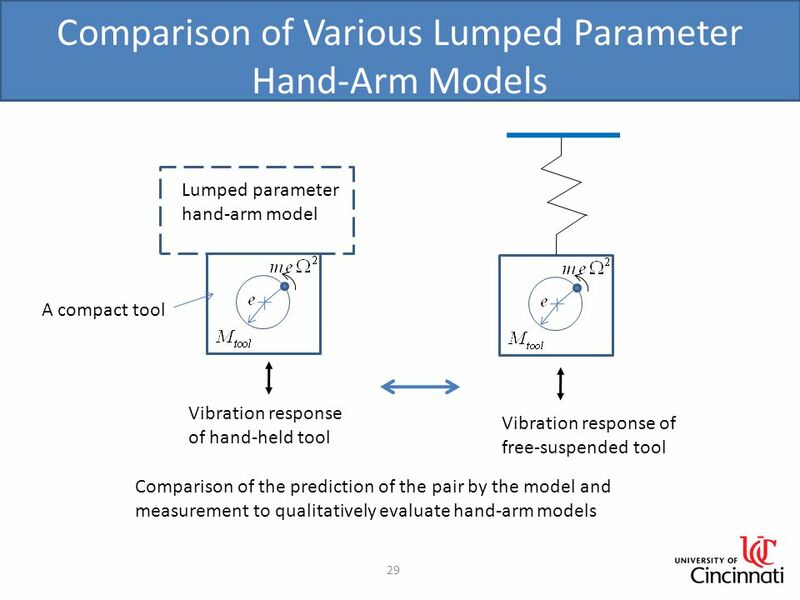 Various values for constants are available for the different models. 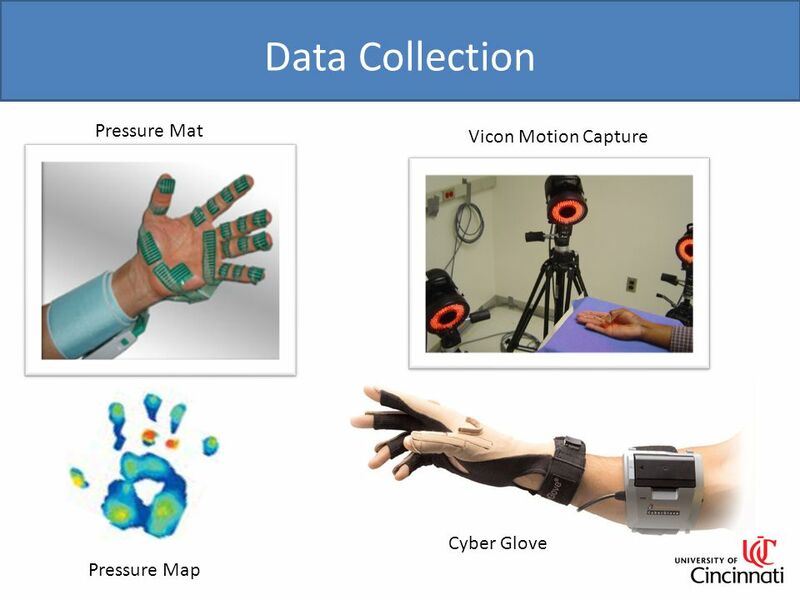 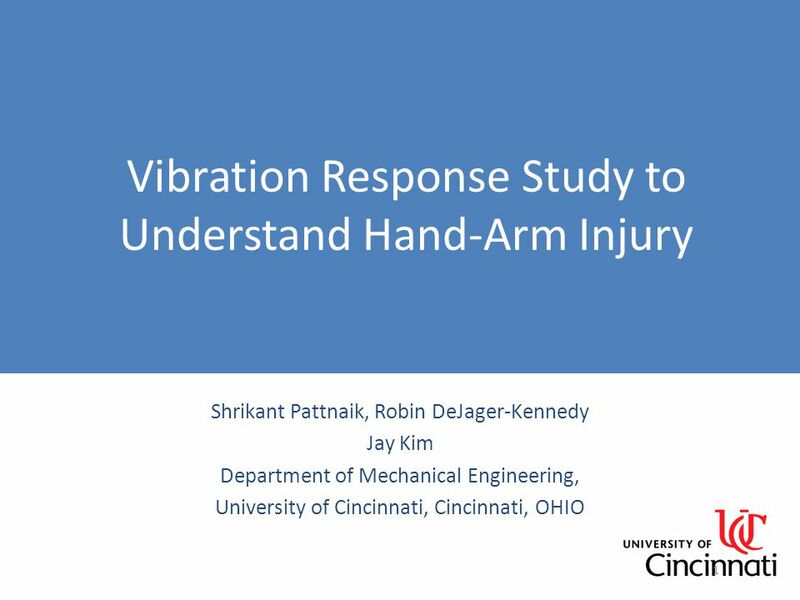 Download ppt "Vibration Response Study to Understand Hand-Arm Injury Shrikant Pattnaik, Robin DeJager-Kennedy Jay Kim Department of Mechanical Engineering, University." 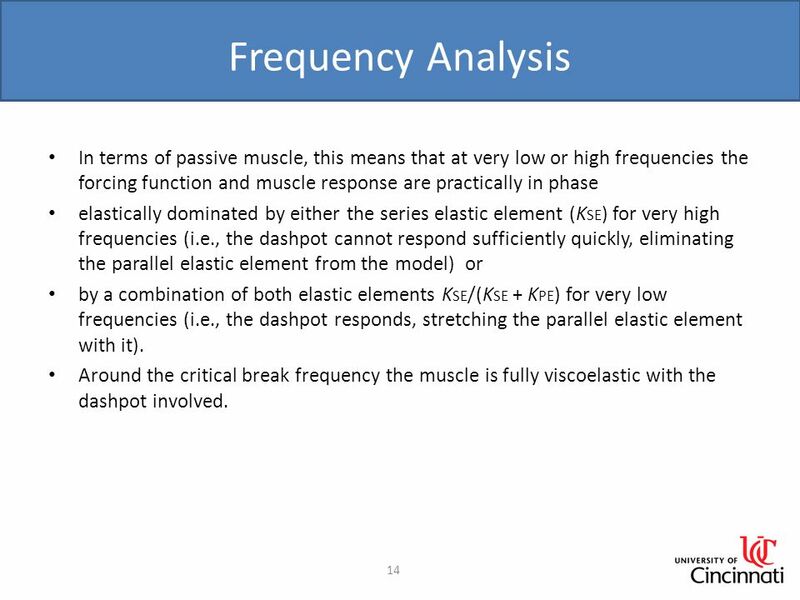 Module 2 Modal Analysis ANSYS Dynamics. 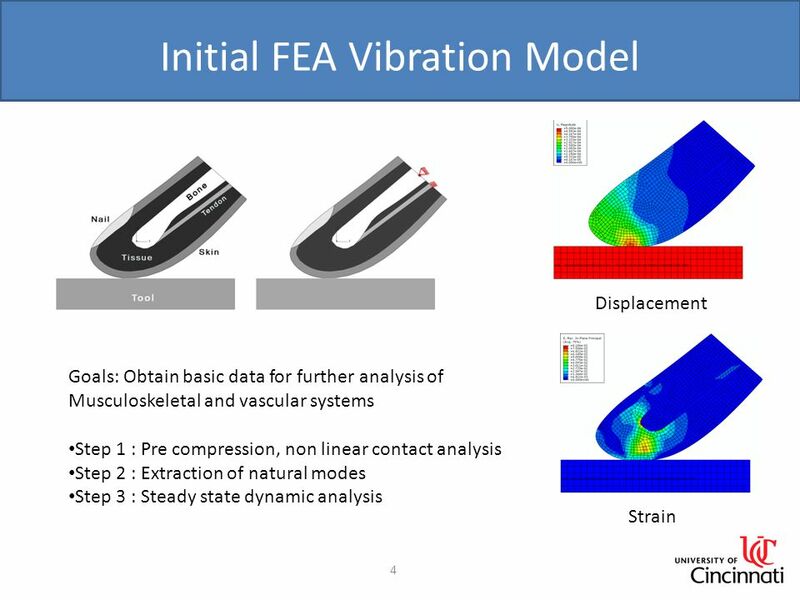 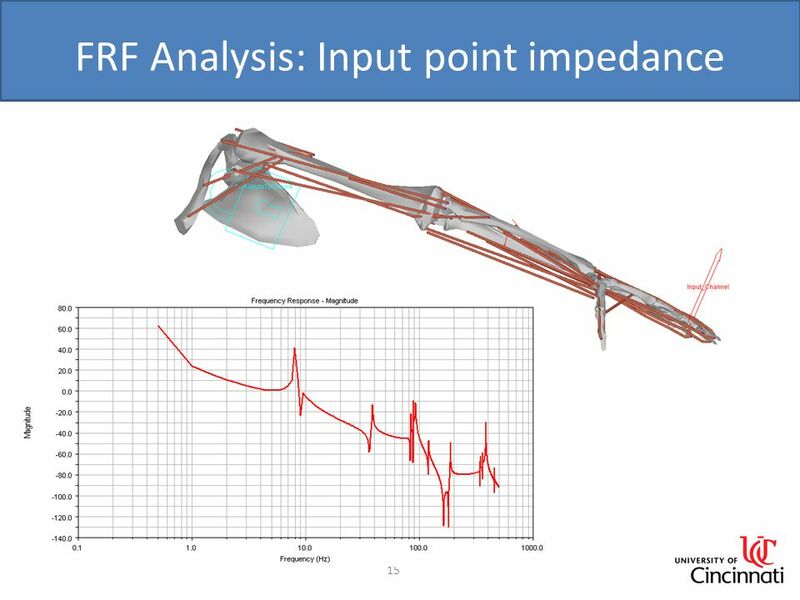 Finite element method Among the up-to-date methods of stress state analysis, the finite element method (abbreviated as FEM below, or often as FEA for analyses. 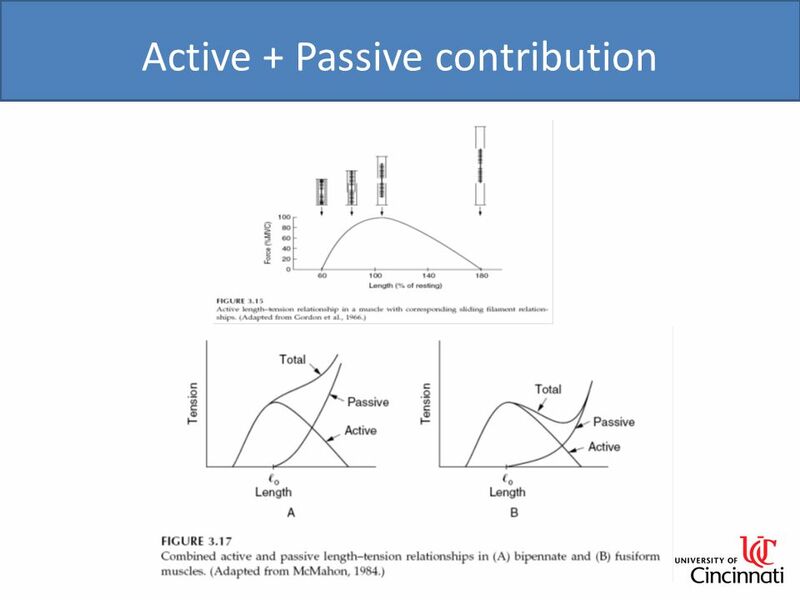 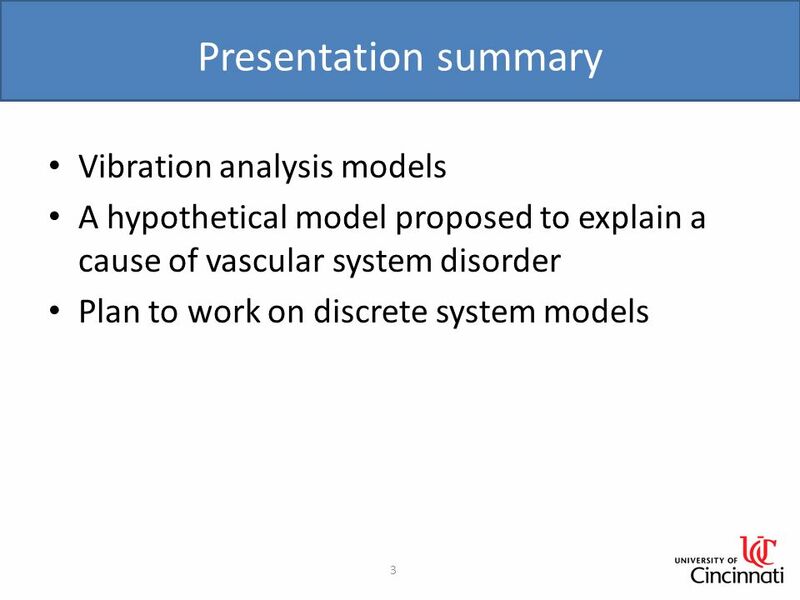 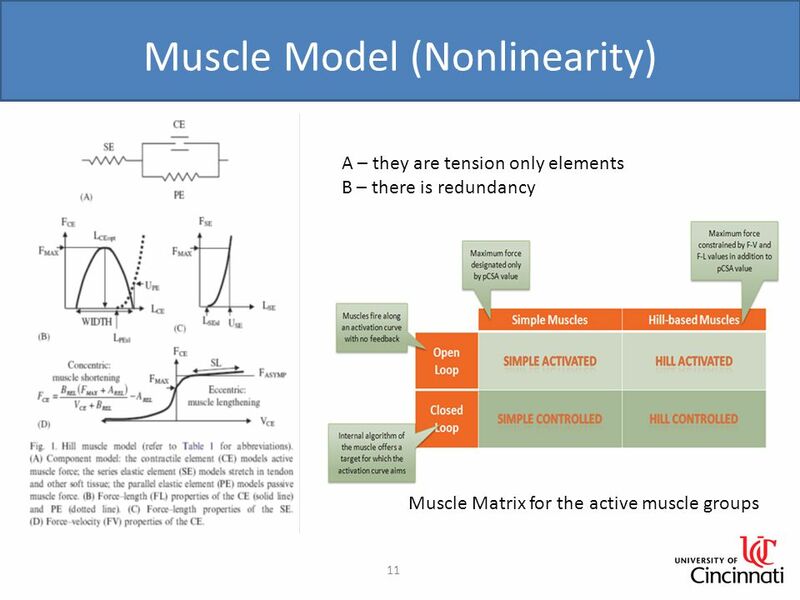 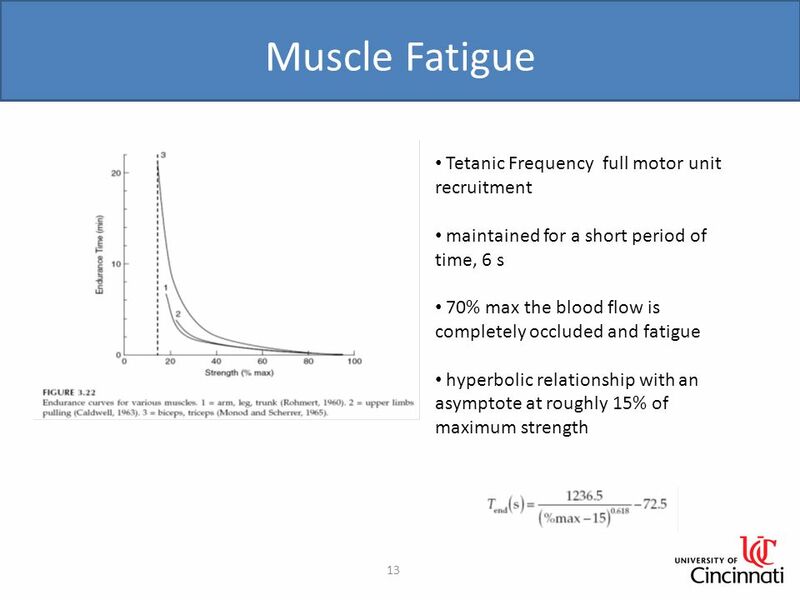 Muscle Modeling in Biomechanics Tuesday, October 29, 2013. 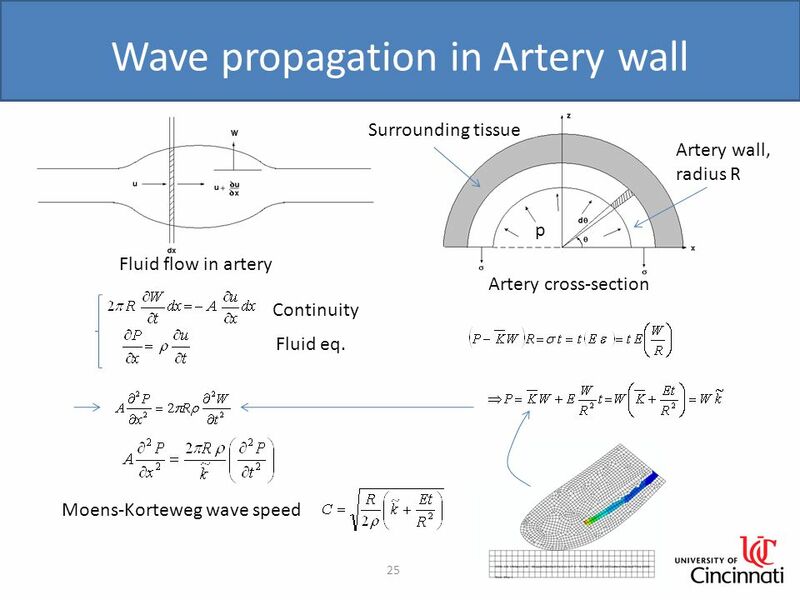 Coulomb or Dry Friction Damping. 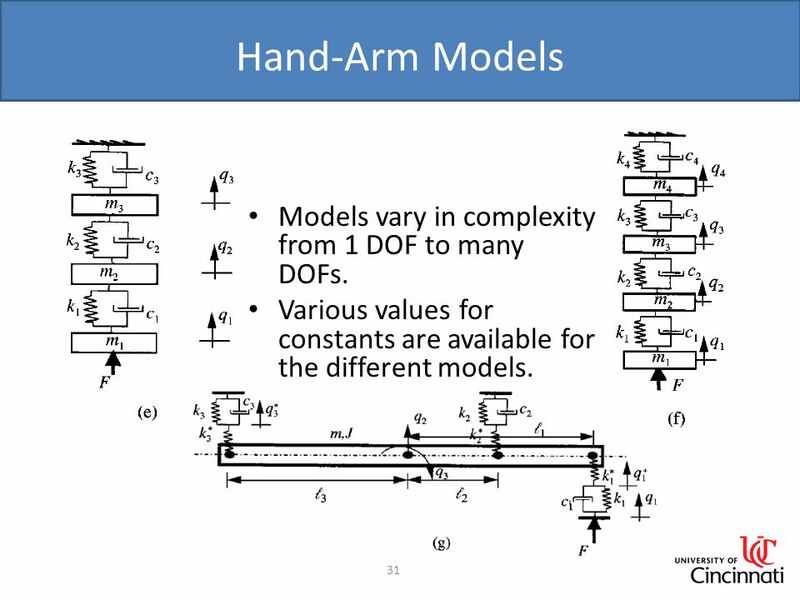 MDOF SYSTEMS WITH DAMPING General case Saeed Ziaei Rad. 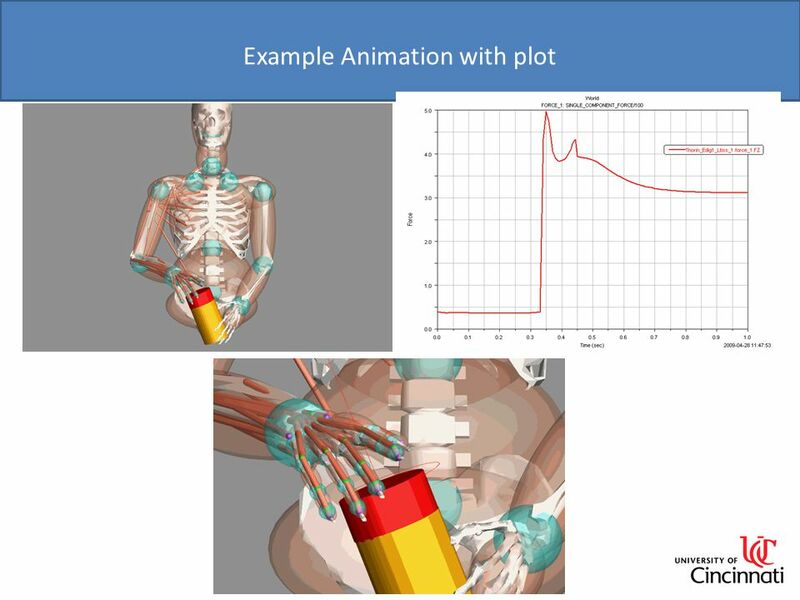 © 2011 Autodesk Freely licensed for use by educational institutions. 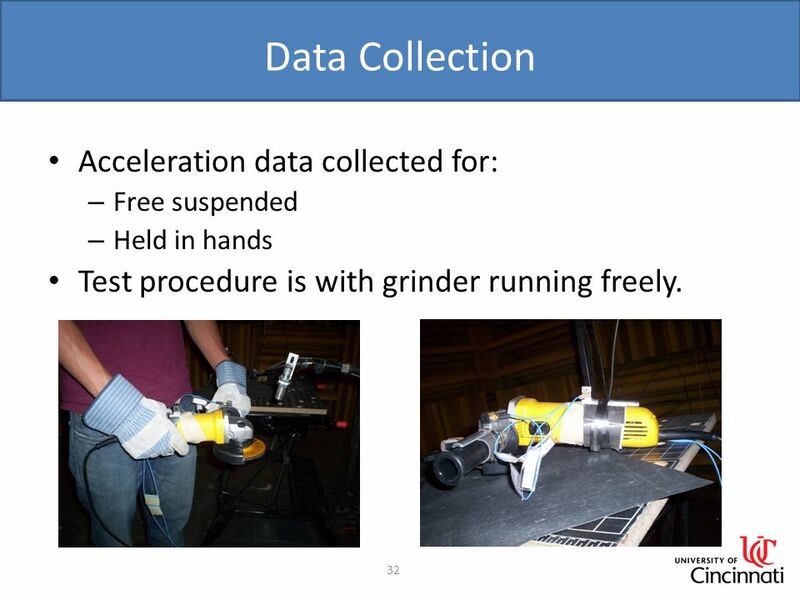 Reuse and changes require a note indicating that content has been modified from the. 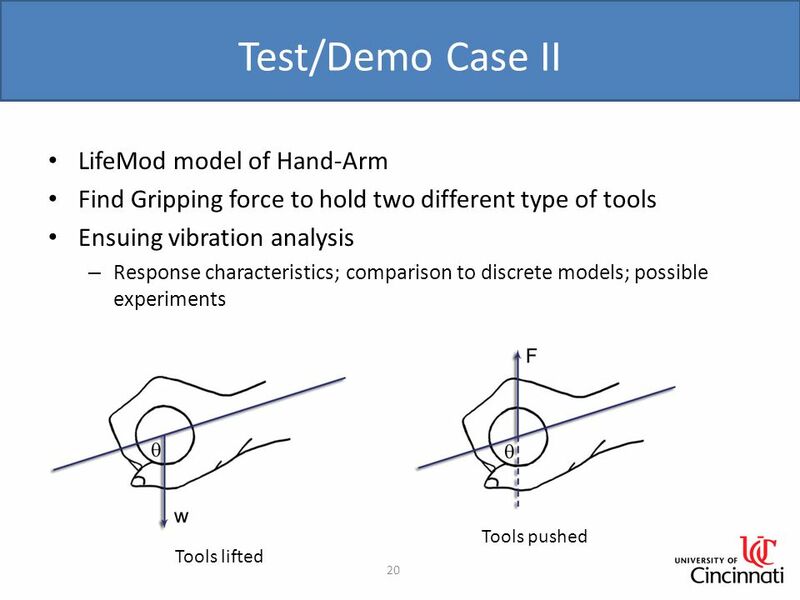 EHS 218 Occupational Ergonomics Hand Tools. 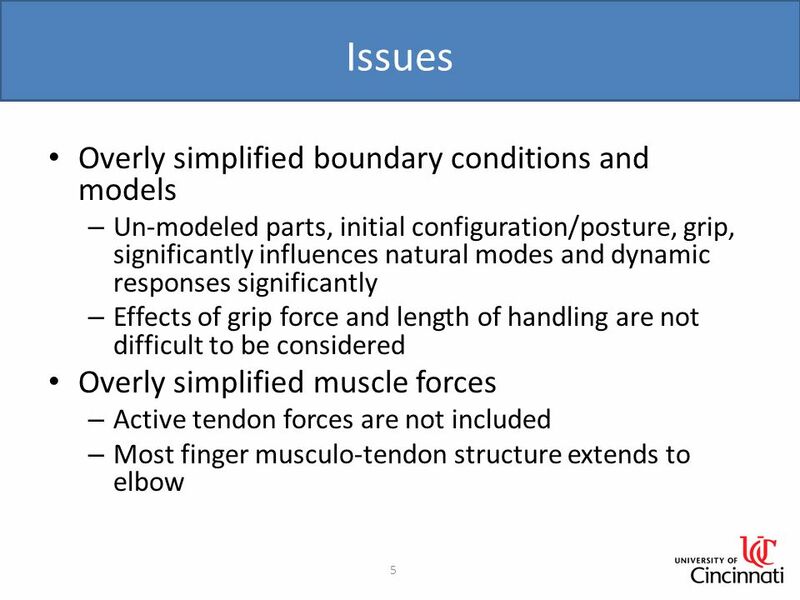 Types of Grip  Power –Hands wrap around the handle –Capable of generating more force than others with less. 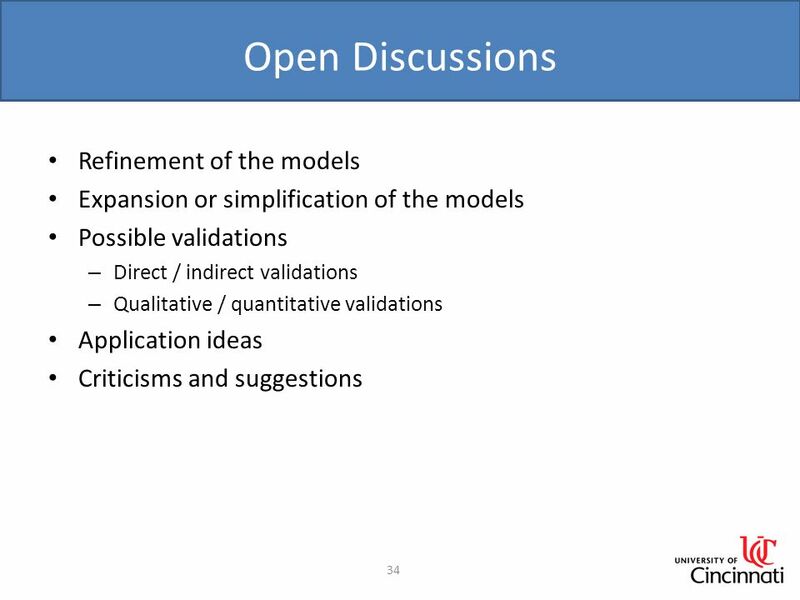 An Introduction to Multiscale Modeling Scientific Computing and Numerical Analysis Seminar CAAM 699. 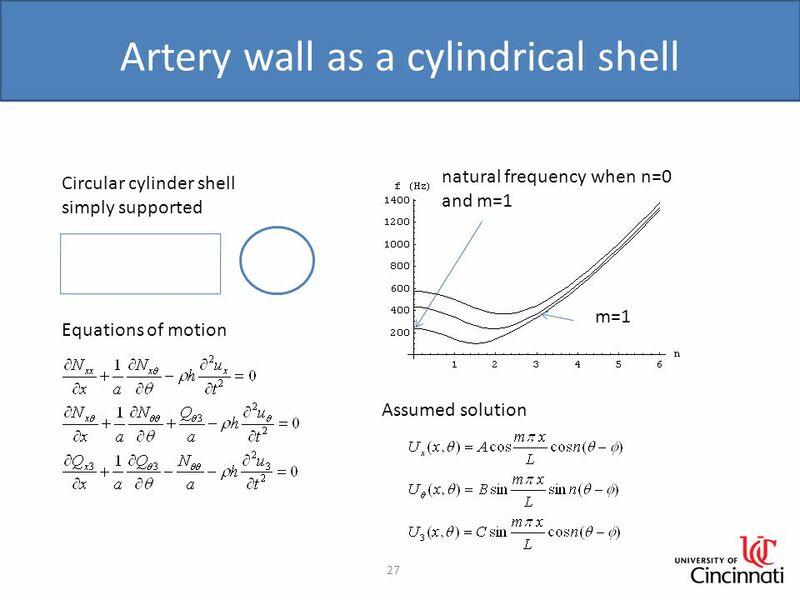 Course Outline 1.MATLAB tutorial 2.Motion of systems that can be idealized as particles Description of motion; Newton’s laws; Calculating forces required. 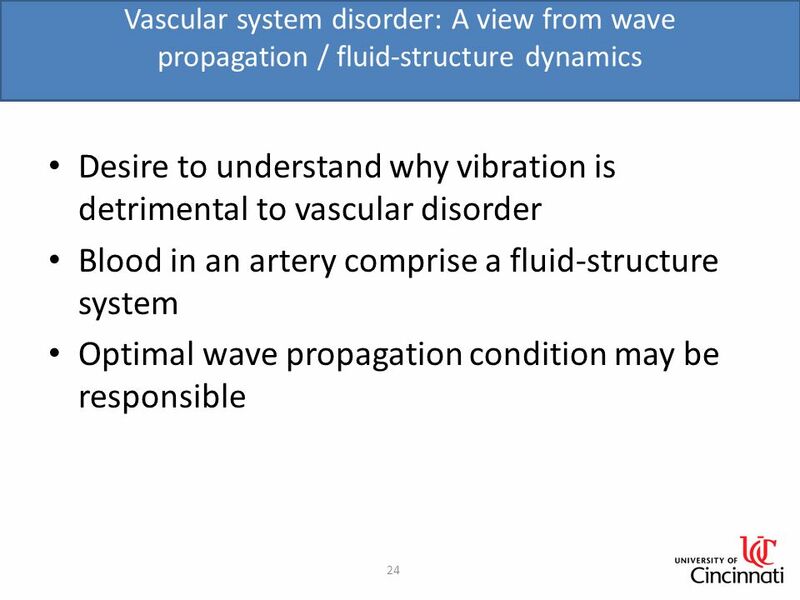 Chapter 13 VibrationsandWaves. 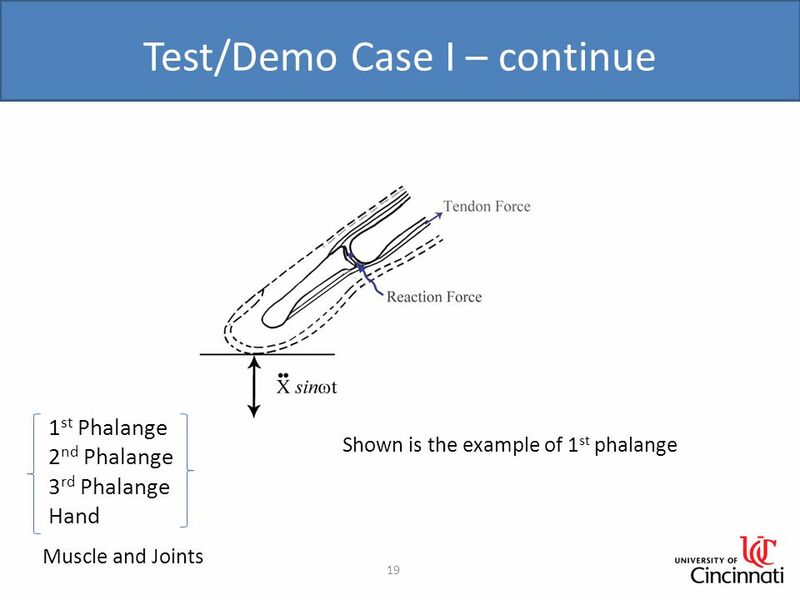 Hooke’s Law F s = - k x F s = - k x F s is the spring force F s is the spring force k is the spring constant k is the spring. 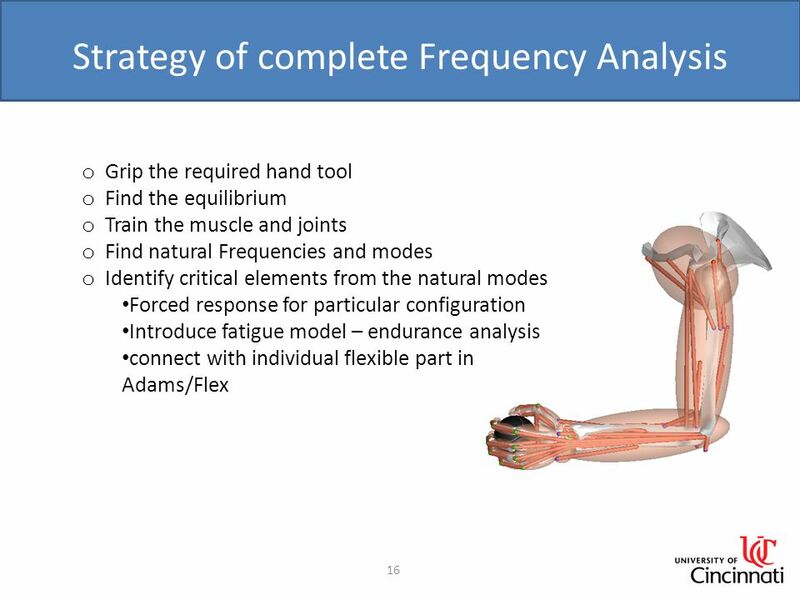 Psy 552 Ergonomics & Biomechanics Lecture 19. 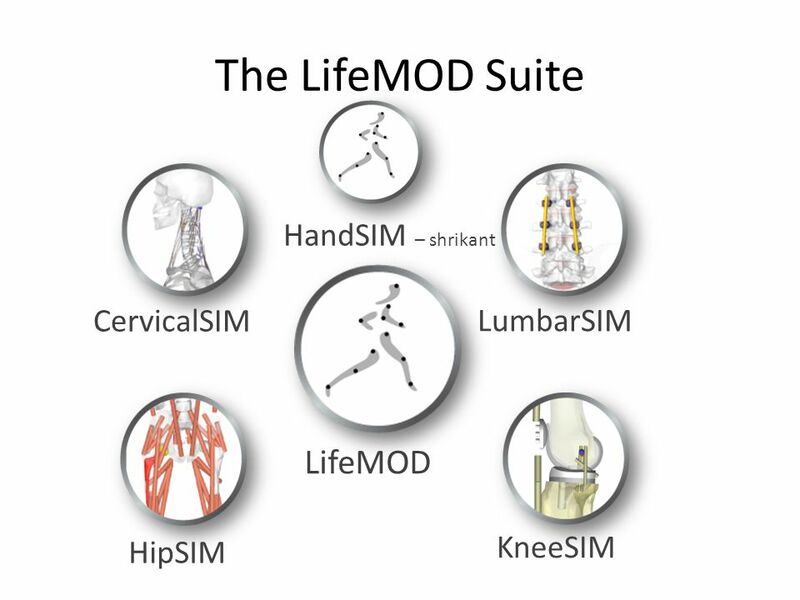 Your workstation chair  Seat height:  Seat depth:  Seat width:  Backrest:  Seat back angle:  Lumbar.